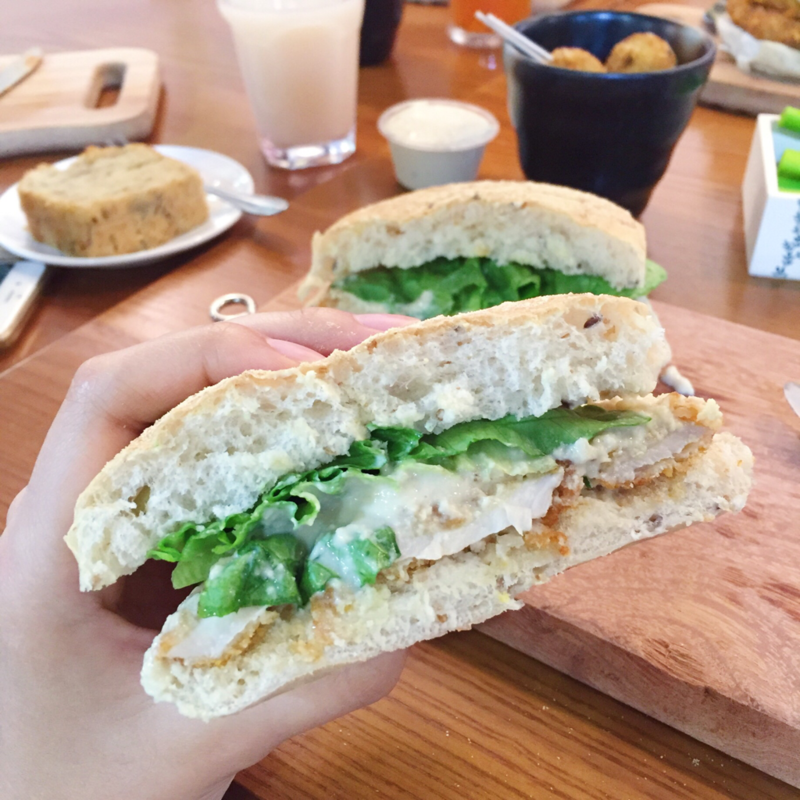 Whenever someone mentions "vegan burgers", most people's minds go straight to "Veganburg". 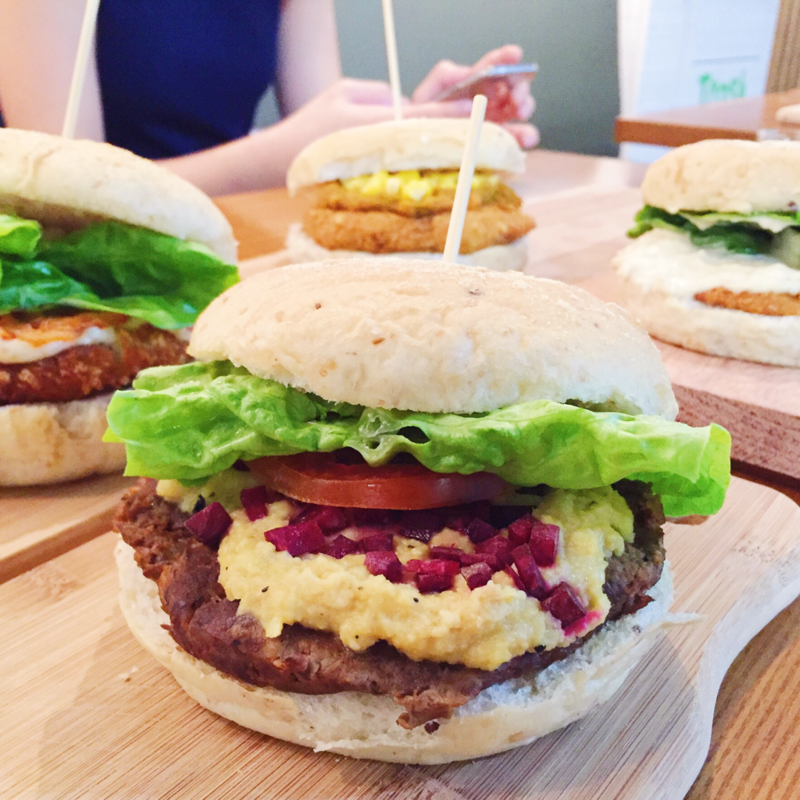 But did you know, there is another food chain called "nomVnom" serving up equally good (if not better) vegan burgers? 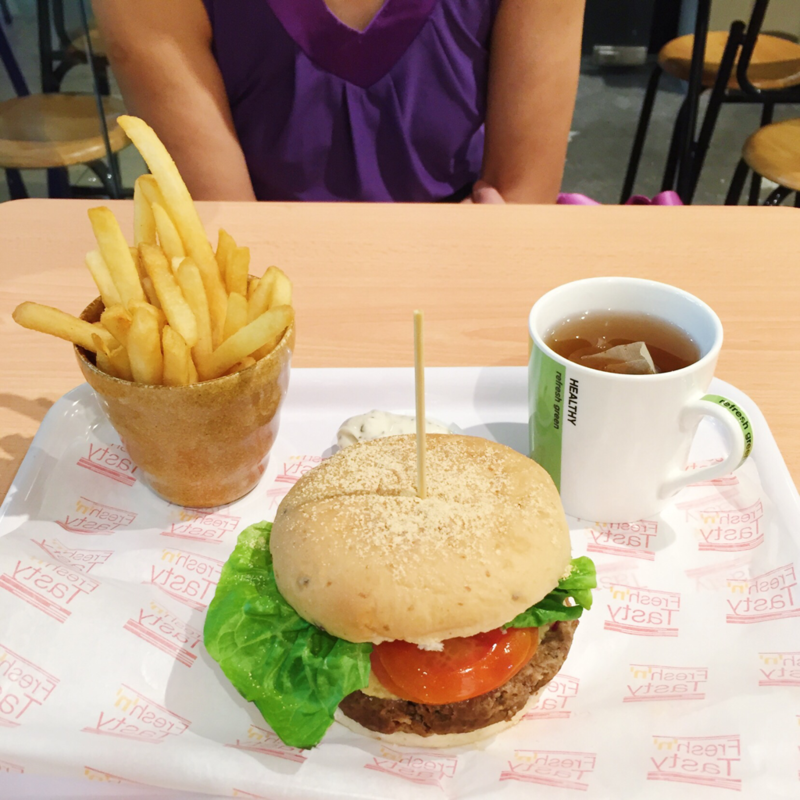 They serve up a wide variety of western food, ranging from burgers and fries, to soups and even cakes! 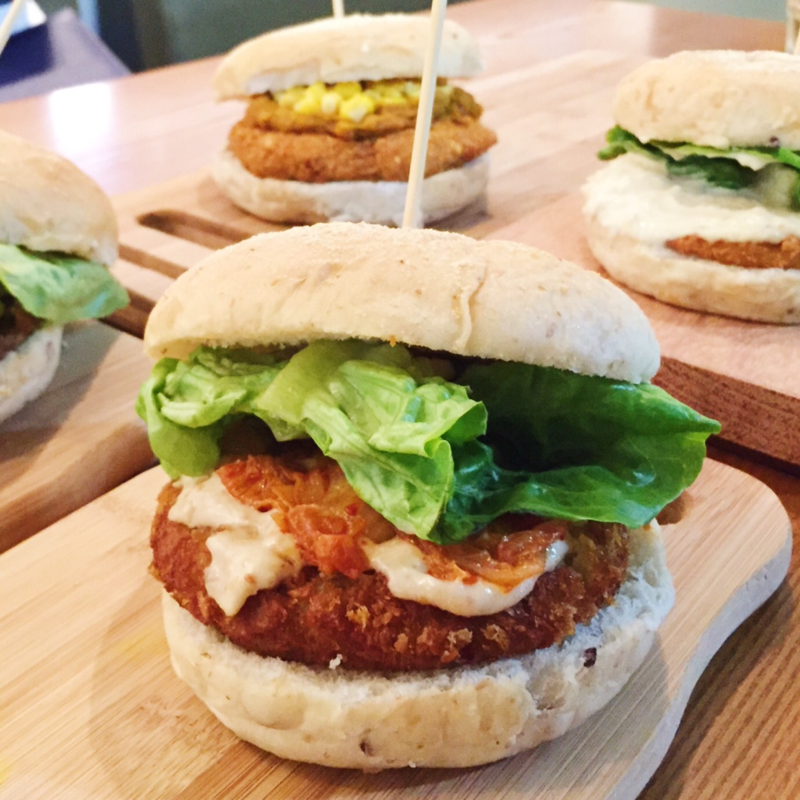 What's more, their burgers are all made with steamed homemade burger buns made of all-natural ingredients and homemade soy, potato, mix vegetables and mushroom-based patties. 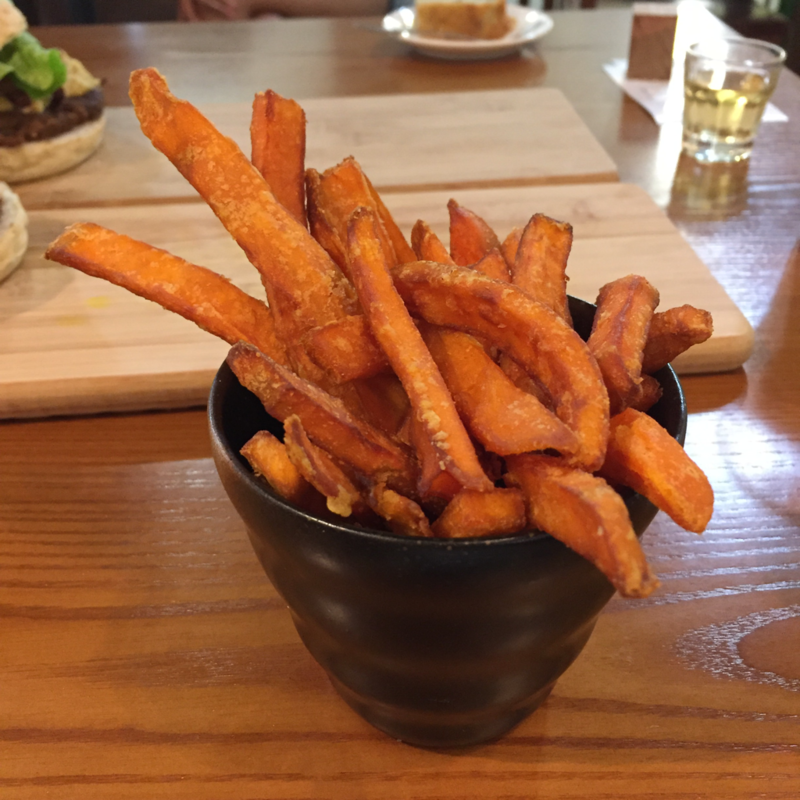 They also have three different types of fries - straight-cut fries, sweet potato fries and truffle fries with their signature homemade truffle mayo dip! Since mom and I already knew that nomVnom was in Golden Shoe Carpark, we found the unit number without much problem at all. Starting from the side where the foodcourt was, we just had to walk along the row of shops (passing by the carpark entrance and Old Chang Kee) until we spotted the sign saying "nomVnom"! Turns out that the shop is located behind a printing shop, so you have to walk down a passageway to see the place like shown in the picture above! 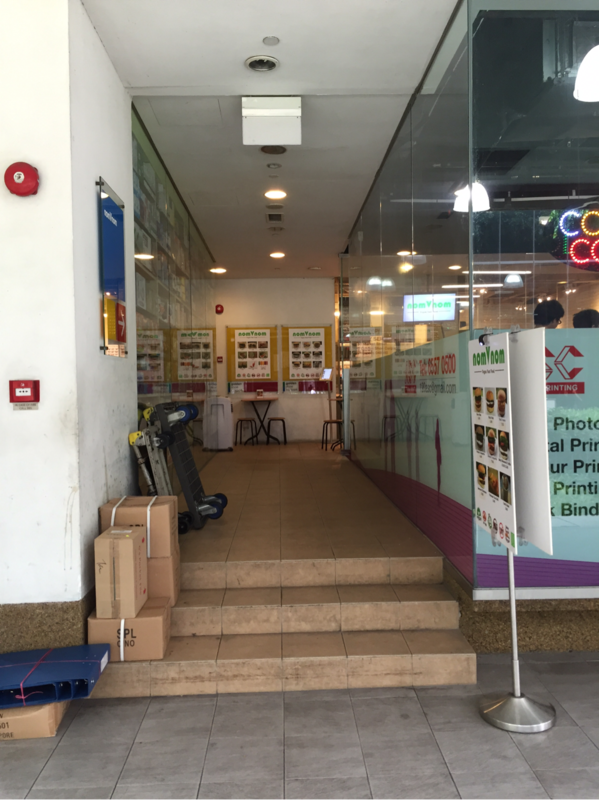 Even though it is located behind the printing shop and therefore confined to quite a small space, the layout makes it seem pretty spacious! 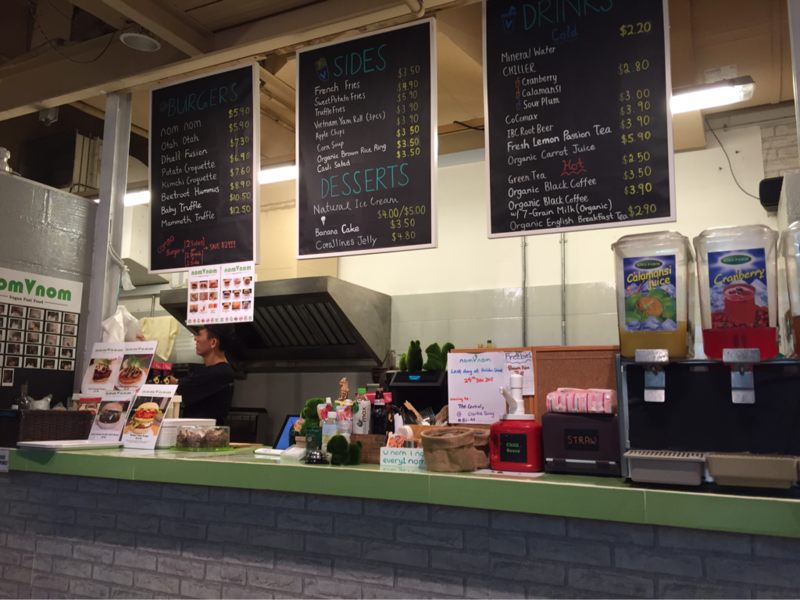 The menu is displayed above the counter other than the laminated menus that are being handed to customers. 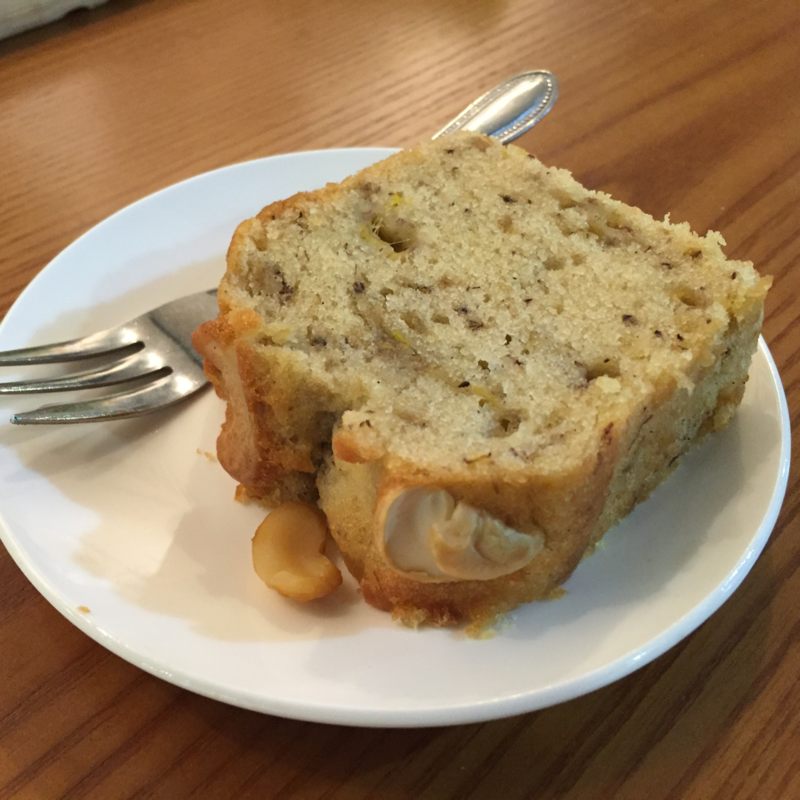 I liked the cozy atmosphere and the clean look the cafe had. When I went there at about 2pm, only 2-3 tables were occupied though, perhaps because it was after lunch hour. However, I noticed that there were many people who did takeaways probably because this would be more convenient for them to bring back to their office. 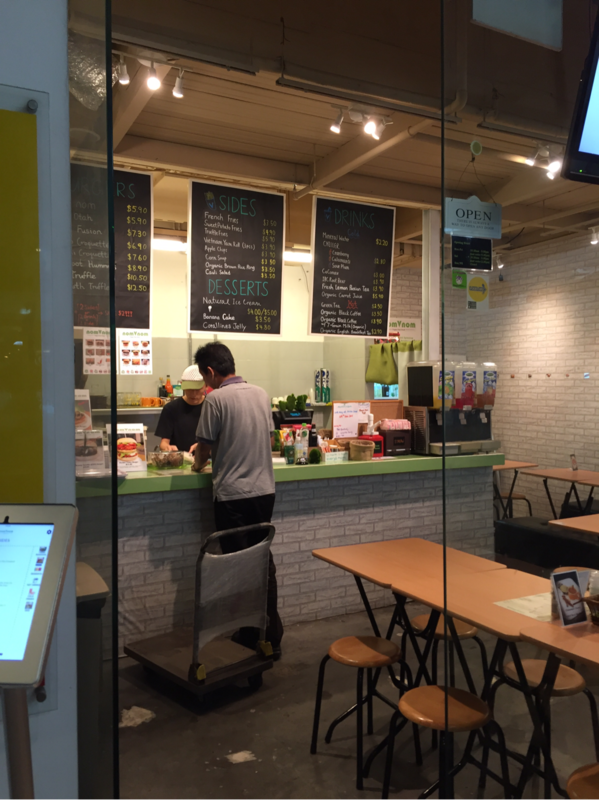 There is also a small variety of ​vegan foodstuff on the counter top as well (though not as extensive as other organic foodshops like Sunny Choice, Loving Hut and New Green Pasture Cafe). Cute and creative nomVnom clock wallpiece! 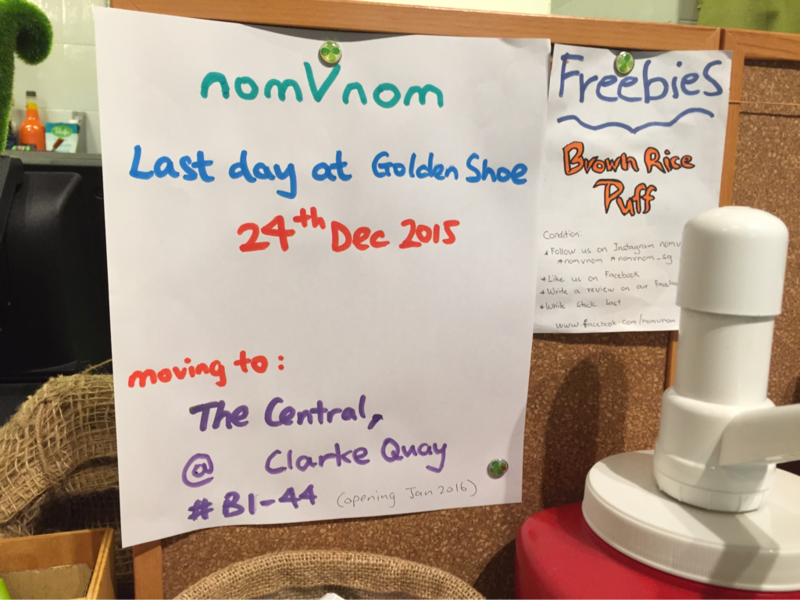 NOTE: I visited nomVnom on 28 October 2015 and saw this sign at the counter that they will be closing on 24 December for relocation! 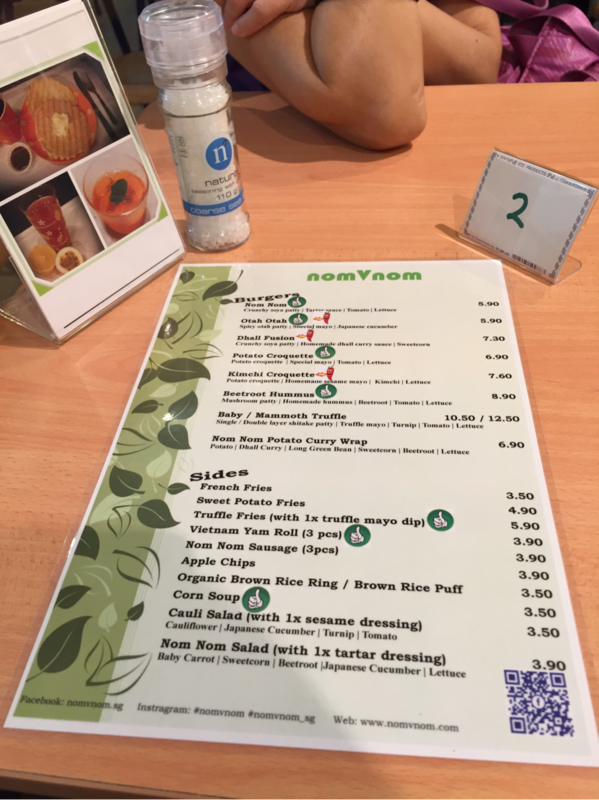 So for those who would like to give nomVnom a try, do visit them before their closing date at their current location or at their new location at Clark Quay Central when they reopen! 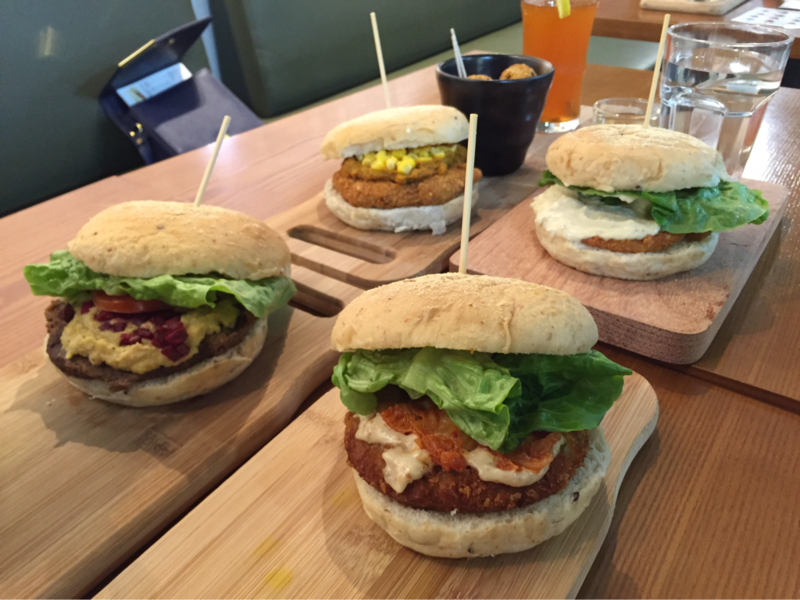 Their menu covers quite a few burgers, with the Nom Nom burger, Otah Otah burger, Potato Croquette Burger and Beetroot Hummus burger being their top recommendations. They also recommended their Truffle Fries, Vietnam Yam Roll and Corn Soup. Desserts, drinks and dips (triple D HAHA) menu! Everything on the menu sounded so appetising and delicious, if I had not pre-bought a Groupon voucher, I would not have known what to order (EVERYTHING on the menu, perhaps)! However, since we had bought the Beetroot Hummus Set beforehand (at a very discounted rate), our default set came with 1 x Beetroot Hummus Burger, 1 x Truffle Fries, 1 x Truffle Mayo Dip and 1 x Golden Pear with Aloe Vera Drink (which we changed to a drink of lower value - Organic English Breakfast Tea). This made life much easier for us by saving us from the dilemma of what to order! Living up to its name of a "fast-food" restaurant, the food came extremely fast, within 5-10 minutes of waiting. 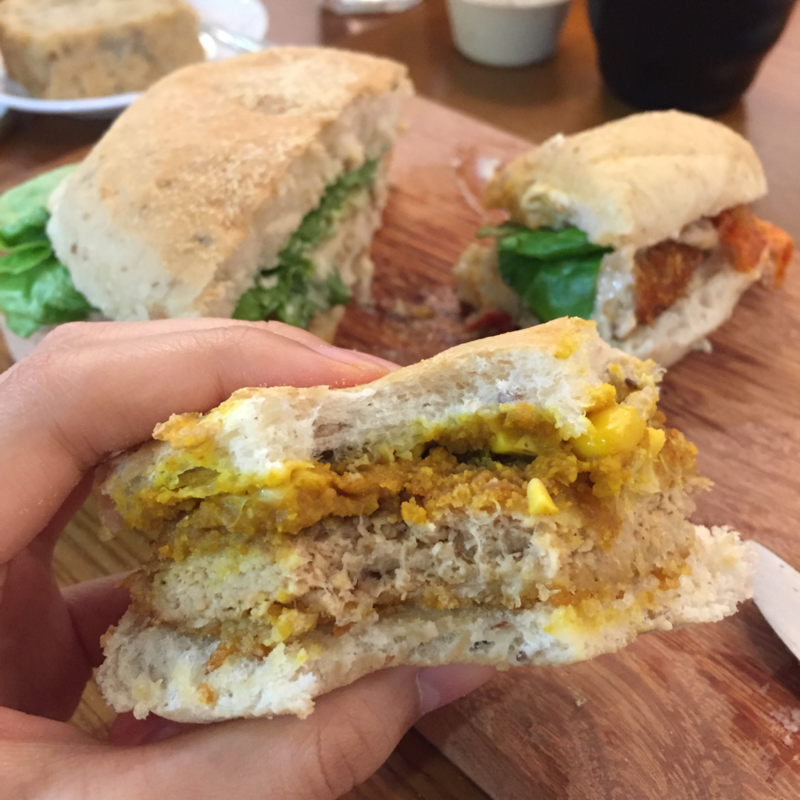 From where I was seated at, I could see the staff preparing my burger fresh upon order - chopping up beetroots and putting the fries into the deep-fryer - which gave me a good impression of the freshness of their food. Before long, the food was served. Even though I did not taste the tea, mom described it to be strong, fragrant and not-too acidic. She said that it was one of the best she had tasted. 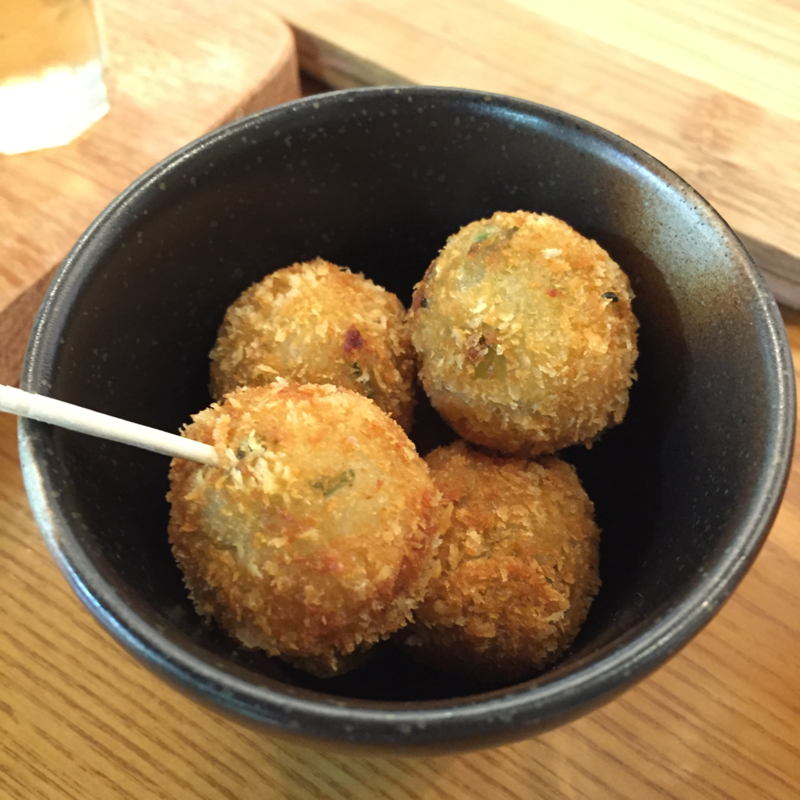 Moving on to the fries, the fries were served hot and crispy, with a distinct truffle taste! I also liked the thickness of the fries - not too thick nor too thin. 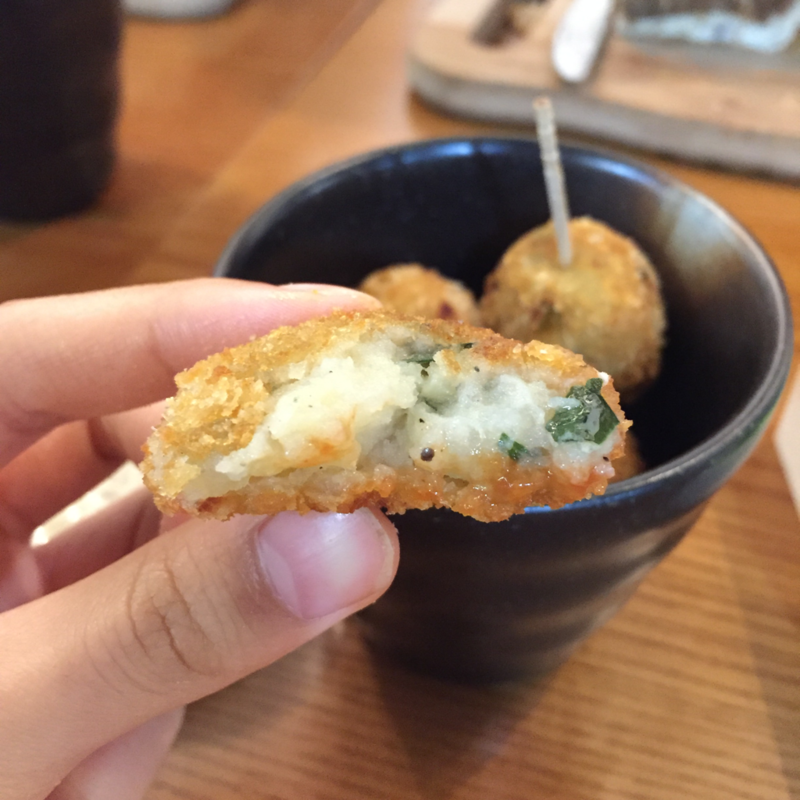 Normally, the truffle fries I get at cafes do not have much of a truffle oil taste or perhaps it may have been masked by the overwhelming amount of cheese they top the fries with, but this one was pretty great. The burger was really good as well! The buns reminded me of those that were used at Veganburg - soft and fluffy - not one bit greasy. This could be because their buns are steamed, not fried on the griddle! I very much prefer this style of burger preparation - who wants a sloppy, greasy, soggy burger bun anyway? The patty itself was tender and succulent - reminding me of the beef patties I used to consume (just one million times better). The mushroom taste was not overwhelming (unlike some other mushroom burgers I've tasted) but the patty could afford a little bit more seasoning (though this problem was instantly solved by dousing my burger in truffle mayo). The vegetables (lettuce, tomatoes and beetroot) were fresh and crisp. I liked how they sliced their tomatoes into thick slices such that they are not reduced into a slippery slimy mess. I also like how they chopped their beetroot finely such that the little bits of beetroot gave a nice crunchiness in every bite you take. The hummus, however, was slightly under my expectations. It lacked the creamy smooth texture hummus ought to have (like the ones I made at home or the one from Pita Bakery). It was grainy and had a weird mouth-feel. 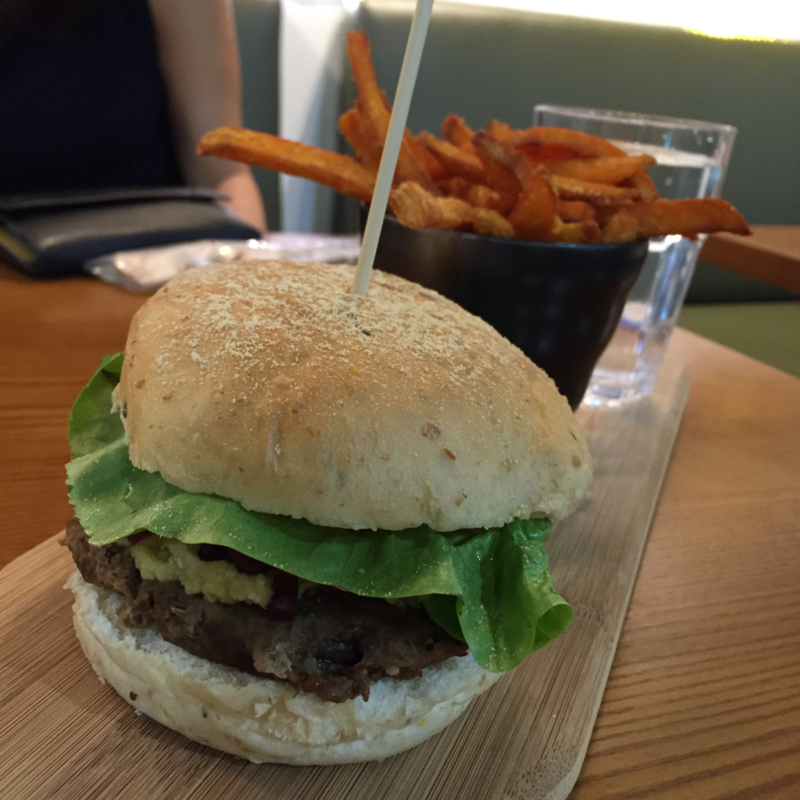 If only the hummus is improved, I believe the burger would have been PERFECT. 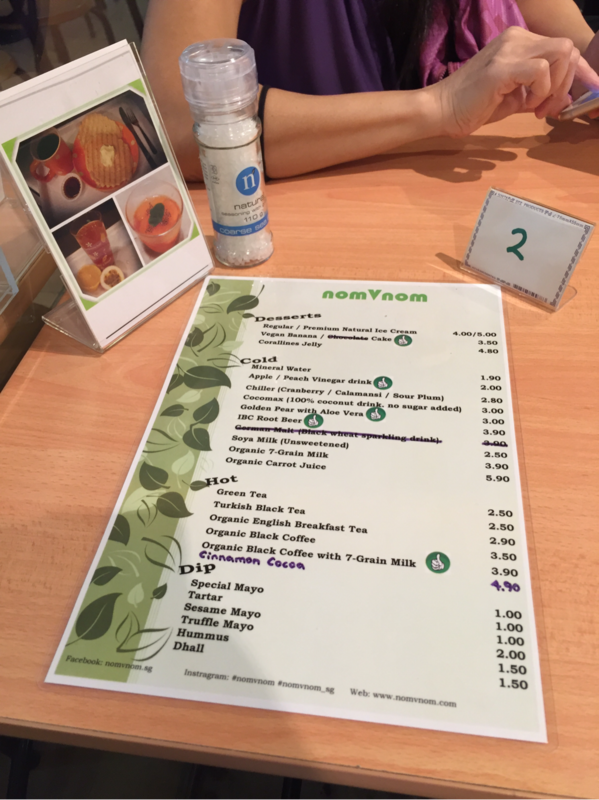 Overall, my experience at nomVnom had definitely been a positive one. 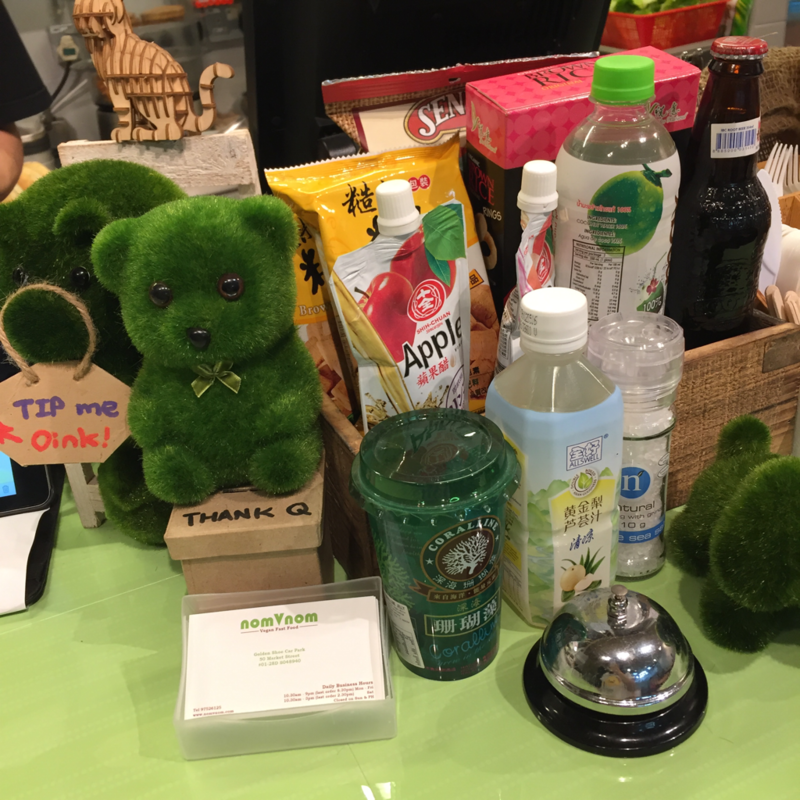 From their cozy simple interior to their warm friendly service and their healthy delicious fast-food, it is definitely a place I would recommend everyone. 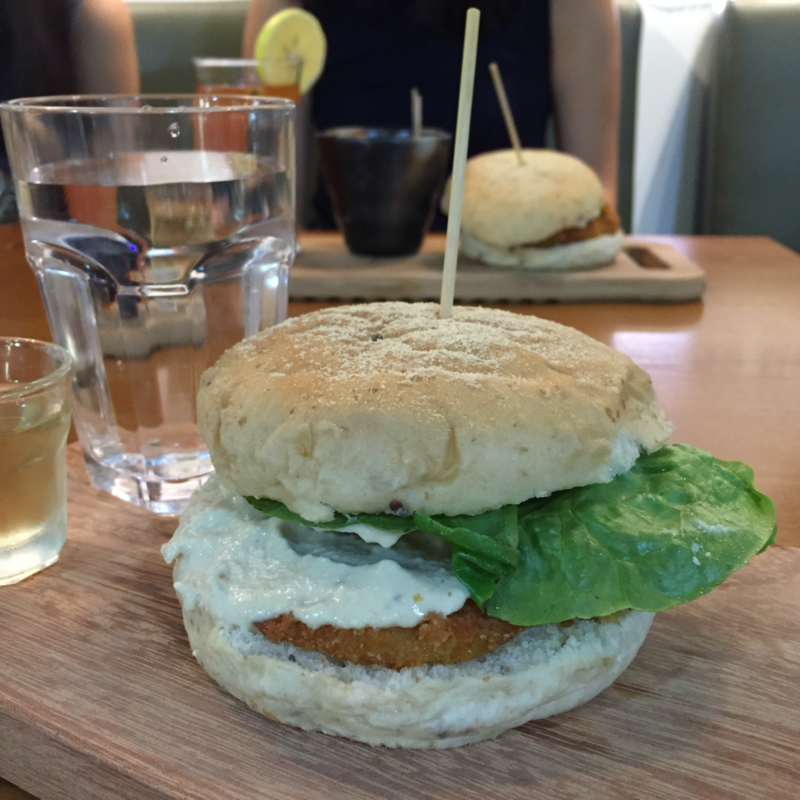 I would love to return soon to try the Kimchi Croquette Burger and Sweet Potato Fries! Keep up the good work, nomVnom​!